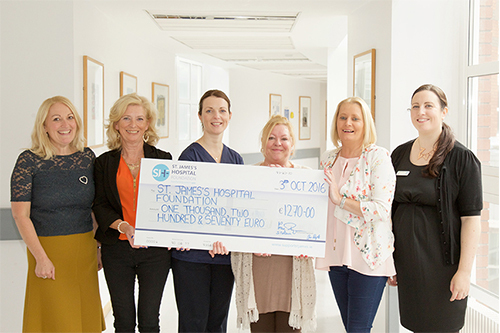 Thank you so much to Sandra Nolan, Anne Doyle and Tracey Kearns for presenting us with a cheque for €1,270 from their recent tribute night in memory of Ronnie Hayden. Thank you also to everyone who attended and donated on the night. 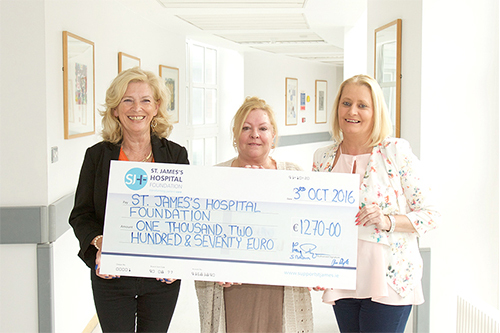 The donation will go to Prof John Kennedy’s Fund at St James’s Hospital.